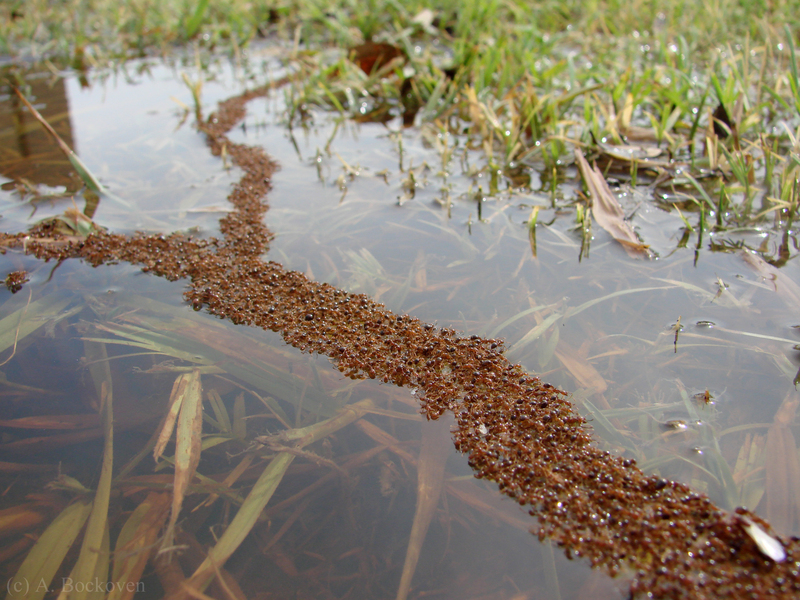 A raft of flooded out fire ants gradually form a path across the water. A few weeks ago we had a big downpour after a long dry spell. A&M’s an old campus and doesn’t drain well, so a number of sidewalks and fields were temporarily flooded. Walking along one of these sidewalks I spotted a fire ant colony that had flooded out into three large rafts of stranded ants. This rafting behavior is a natural adaptation of fire ants to survive flooding, wherein the workers form a living floatation device to preserve their fellow workers, brood, and queens. 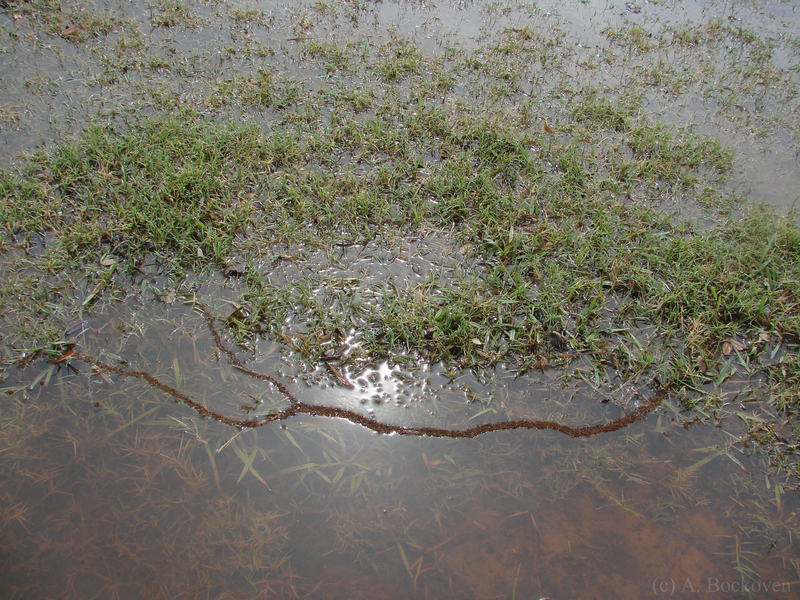 Flooded fire ants form a living bridge across the water to dry land. I went home to get my camera, and by the time I returned that afternoon, the rafts of fire ants had managed something I haven’t seen before. They had spread out and connected up to form a living bridge across the water to dry land. Ants ran back and forth along a path composed of their living sisters, while those at the surface of the water tested the area ahead with their antennae. On land a trail of ants was busily moving brood into the dry refuge of a light pole. An elite pest control agent battles a tentacle of sentient ants with a laser (Source: The Hive). Fictional movies aside, reality is pretty impressive all on it’s own. I took a whole bunch of pictures of the bridging fire ants, as seen below. I took some video, too, so hopefully I’ll get that posted when I get the chance to edit something together. 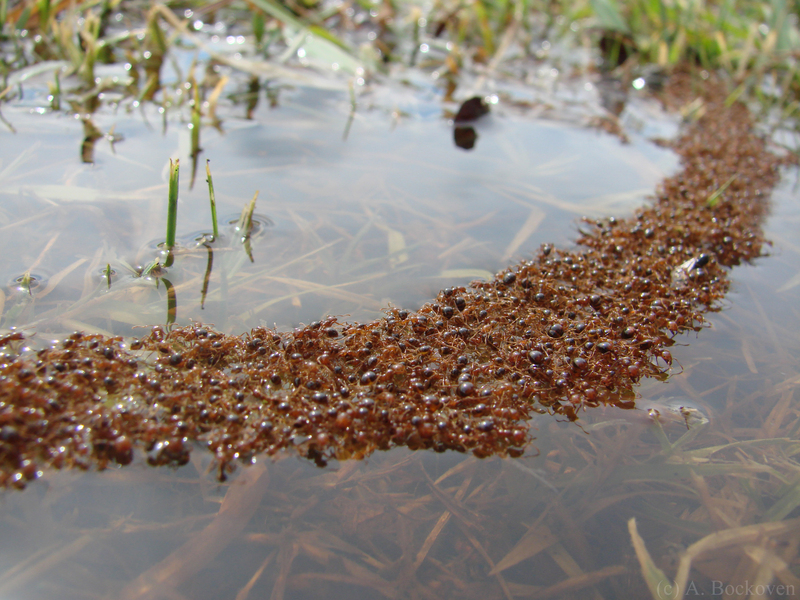 Close up of rafting fire ants in a flooded field. 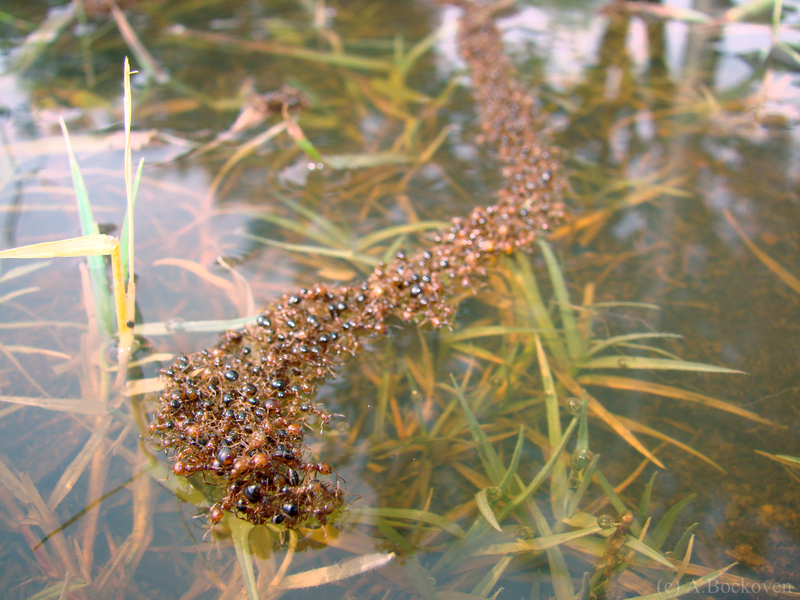 Two isolated rafts of fire ants converge to form a bridge to dry land. 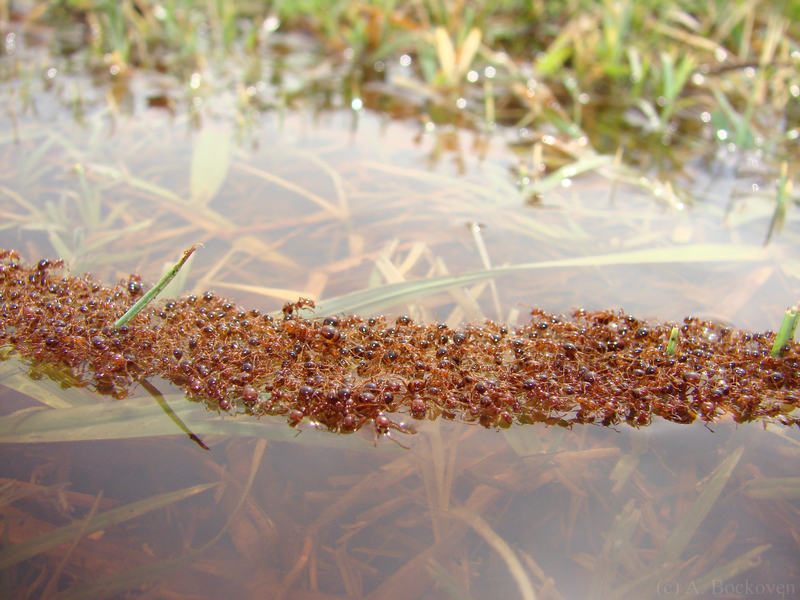 A living raft of fire ants bridges a flooded field. To the right, an alate is visible traversing the bridge to safety. Amazing. And The Hive is now on my list of must sees. Thanks. And the movie is a truly magnificent spectacle of bad science. Thanks. It was interesting to try to take them without falling camera first into a puddle of fire ants. A friend of mine linked me this post on Facebook today, and thought I’d enjoy it. Boy was he right! I enjoy the story and images quite a bit. 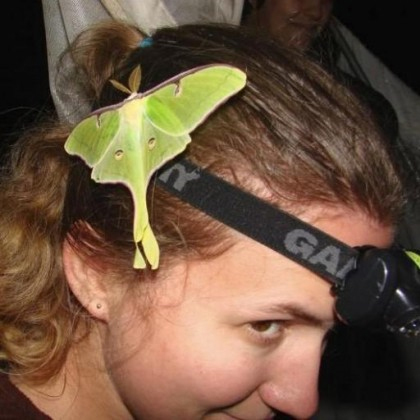 The whole idea of what these insects are willing to do to survive is fascinating as well! Thank you for sharing. Hey 6 Legs! When is your next post?? ?